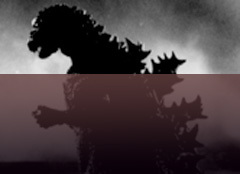 Japan and numbers: The most feared number is four which, when written in kanji means death. 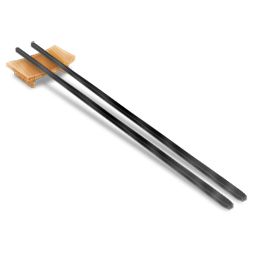 People will pay to get their car number plates changed if they have 4 on them, especially if the number 4 is followed by the 9 which together will mean ''you'll die'', for example 4219 read as shi ni iku ''you're going to die'' . Maneki Neko: Legend says that Maneki Neko was made in honor of a pet cat called Tama. In the 17th century, there was a rundown and poverty-stricken temple in Tokyo. The temple's priest was very poor, but he shared what little food he had with his pet cat, Tama. One day, a wealthy and important man was caught in a storm while hunting and he took refuge under a big tree near the temple. While he waited for the storm to pass, the man noticed a cat beckoning him to come inside the temple gate. He was so startled that he left the shelter of the tree to have a closer look at this unusual cat. At that moment, the tree was struck by lighting. As a result of the cat saving his life, the wealthy man and the priest who owned the cat became friends and the temple became prosperous. When Tama died he was buried in the Goutokuji Temple's cat cemetery with respect and love, and the Maneki Neko was made in honor of him. 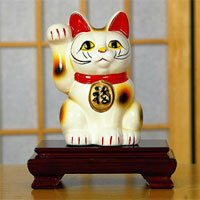 A Maneki Neko in your place of business, your home or on your website is said to bring in good luck and visitors. Most maneki neko are white, but there are different colours for different fortunes, black maneki neko are supposed to ward the evil spirits off, gold brings good furtune and the even more rare red ones are to prevent sickness. The Japanese Macaque is also known as the Snow Monkey as they are often found living in colder regions of Japan where heavy snowfall is common during the winter. They are incredibly intelligent and adaptable animals and are known to pass new behaviours through the generations. In 1963 a young female Macaque named Mukubili was seen entering a hot spring to gather dropped soy beans and today, whole troops can be seen resting in the steaming waters to keep themselves warm. Young snow monkeys have been observed making snowballs and carrying them as play objects. The Japanese Macaque is a protected species. 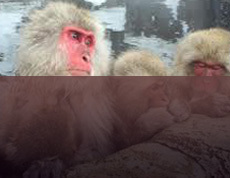 The main cause for the decline of the Japanese Macaque population is the destruction of their habitat. This forces the monkeys to find food elsewhere, raiding nearby farms for food and invading villages and terrorizing its inhabitants by chasing after them and snatching food from children's hands and getting into hot tubs and spas. 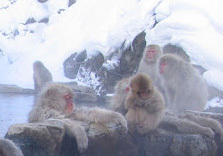 For these reasons, it was decided to build the Nagano macaques their own hot springs, creating feeding stations in an effort to save the Macaques and prevent them from raiding nearby farms. The Japanese Macaque, or Nihon Zaru (Japanese monkey) have a long history in Japanese arts and history. The Japanese are very fond of their monkeys and do everything within their power to keep them wild and save them from extinction. 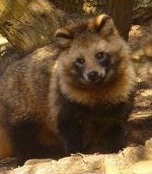 The Japanese raccoon-dog, also known as tanuki are small omnivorous canines indigenous to Japan. Their most recognizable feature is the black marking around its eyes. They are one of the many animals in Japanese folk belief that are thought to have the ability to shape-shift or, like foxes, cast illusions. They were originally portrayed as evil but have now evolved into a cute icon of wealth and luck. 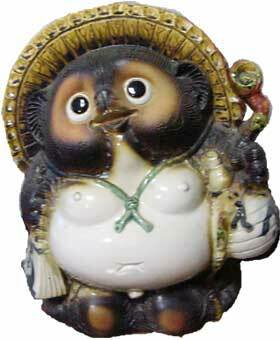 Statues of tanuki can be found throughout Japan, in front of bars and restaurants, especially noodle shops. 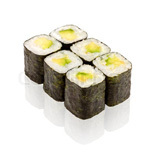 They are used to beckon customers and welcome guests, playing a role similar to that of the maneki neko. 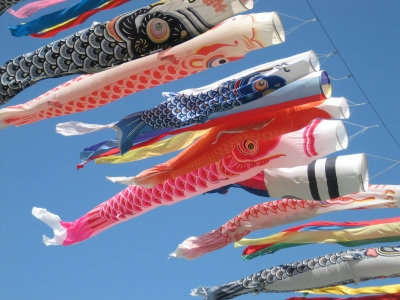 Koinobori, Flying Carp: To celebrate Children's Day (Kodomo no hi, a Japanese holiday on 5th May), families fly koinobori banners or kites in the shape of a carp for each child in their house. In Japanese folklore, the fish Carp is a symbol of children growing up strong and healthy. Koinobori come in all shapes, colors and sizes and are hung in front of houses and on poles all over Japan to celebrate. Until 1948, May 5th was called Tango no sekku and only honoured boys. 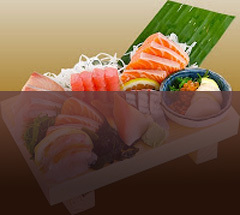 A separate holiday called Hinamatsuri or "Dolls' Day" celebrated girls on March 3. Even now, on this day girls still receive dolls that had been passed down to their grandmothers and mothers. For many families, May 5 still centers on boys. 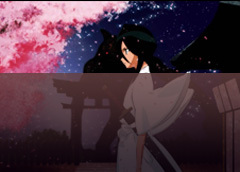 Some people say that Hinamatsuri for girls should become an equal holiday instead of combining them into one.